This is a work in progress. Please post comments, questions, suggestions for improvement and links to other examples on the blog page. 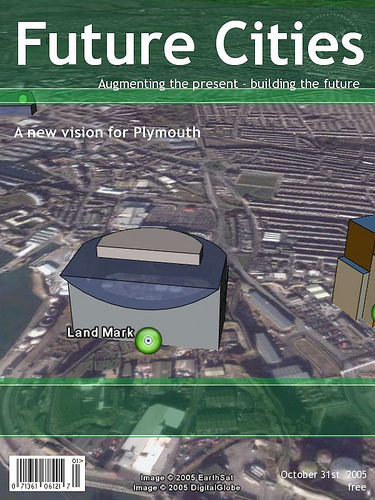 Plymouth City Council has a new “A Vision for Plymouth” described on this web page This lesson gets students to imagine how the city might look in the future. 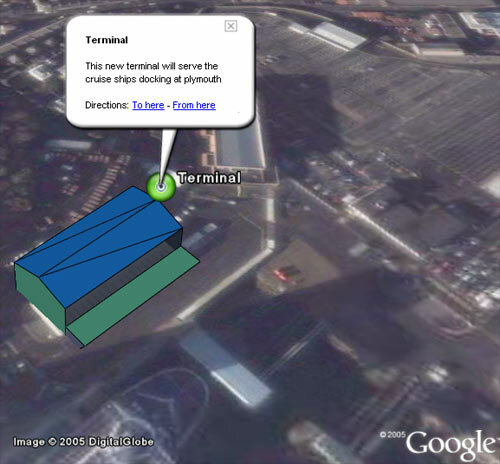 SketchUp and the Google Earth plug-in together with Google Earth Plus. Students present their own urban redevelopment plans. 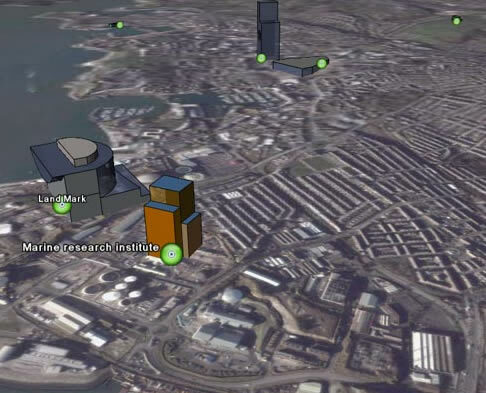 They create buildings in Sketch Up and transfer them to Google Earth, explaining their ideas using placemarks. Other placemarks can be used to add annotations. Run Google Earth Plus. Choose a location to be augmented. I chose Plymouth because it's local, I've already done some related work on the city and because its covered by high resolution imagery. Draw a new polygon by clicking Add a Placemark, ploygon and click and drag to create the desired shape. Finally, name the ploygon and save it to a new location, e.g the desktop by right-clicking it in the My Places tab and chosing Save as. You should see a file with a .kmz extension on your desktop. Start SketchUp 5 and import the kmz file you previously saved. Choose top view and trace the outline of the polygon using the pencil. Use other tools to shape and extend the building to the desired height. Export the building as a .kmz model and add placemark information in Google.